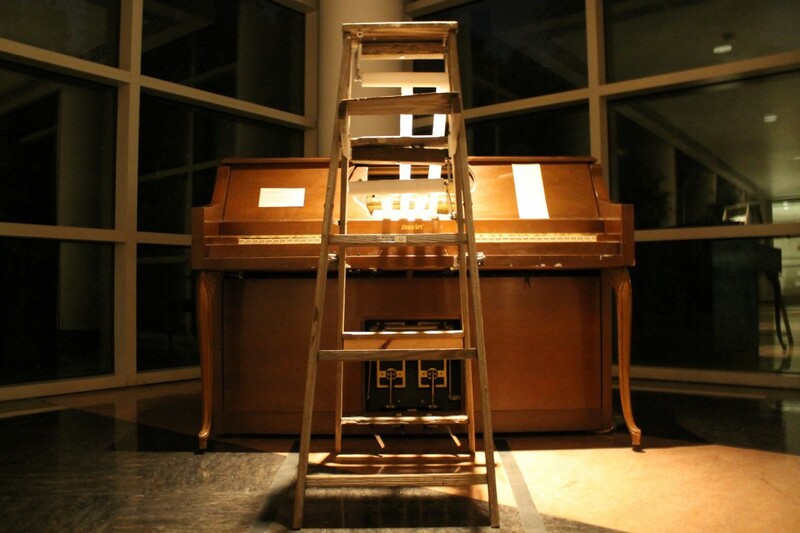 12CJNC12 for player piano was installed in the UNCG Music Building from September 26-28, 2012 for the 9th annual New Music Festival. 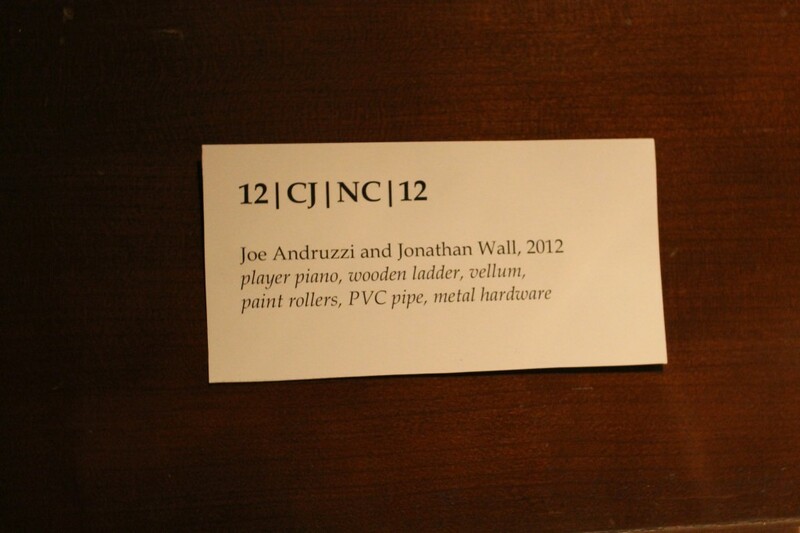 It was constructed by Joe Andruzzi and Jonathan Wall to celebrate the centennial of John Cage and Conlon Nancarrow. 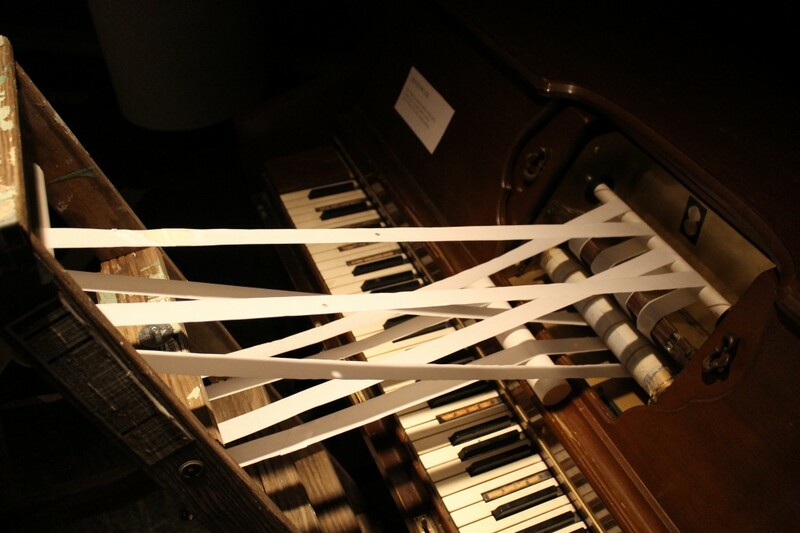 12CJNC12 replaces the standard player piano roll with several independently moving paper loops. 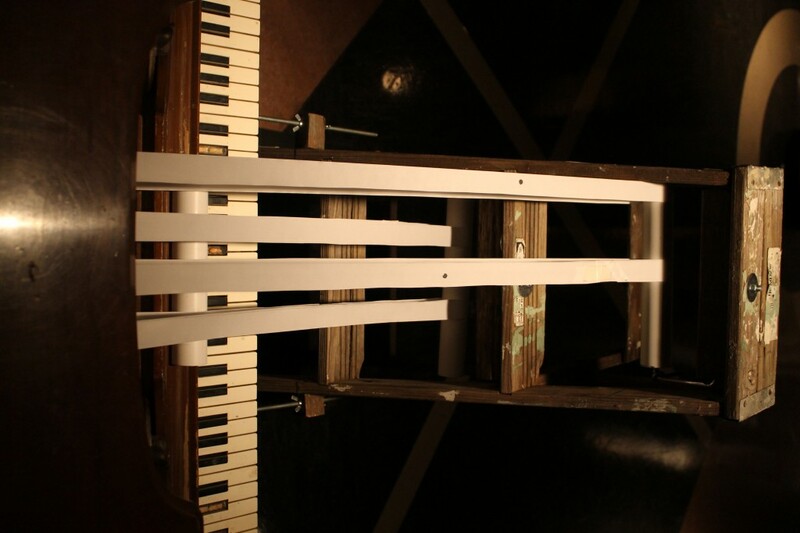 The pneumatic system that powers the instrument has also been modified, preventing most of the piano’s keys from sounding. 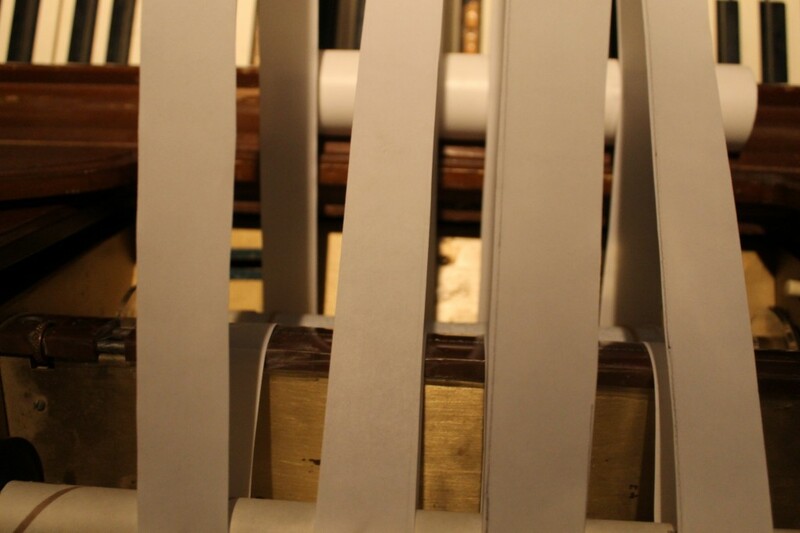 As with traditional player piano rolls, each loop has a single hole punched to trigger attacks; however, notes are more likely to be produced through indeterminate processes, such as the tension slightly slackening or a roll moving slightly to one side. 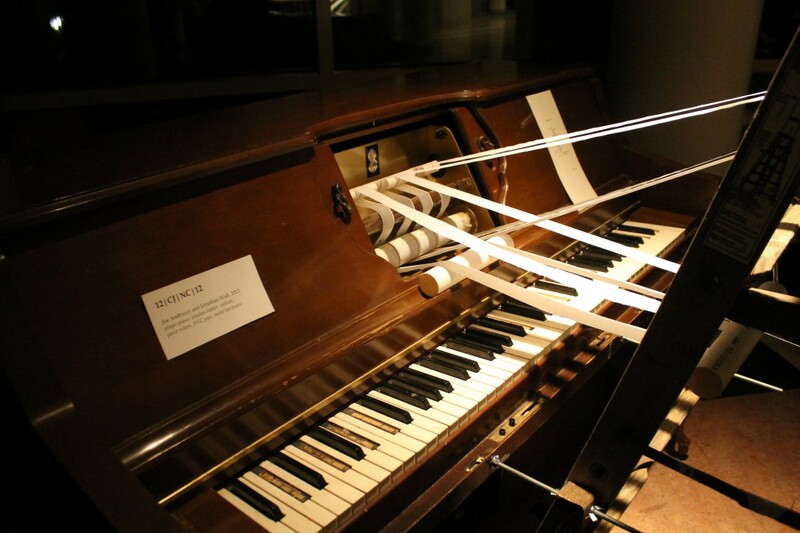 Additionally, the piano’s timbre has been transformed by rubber tubing or metal screws inserted into the strings. 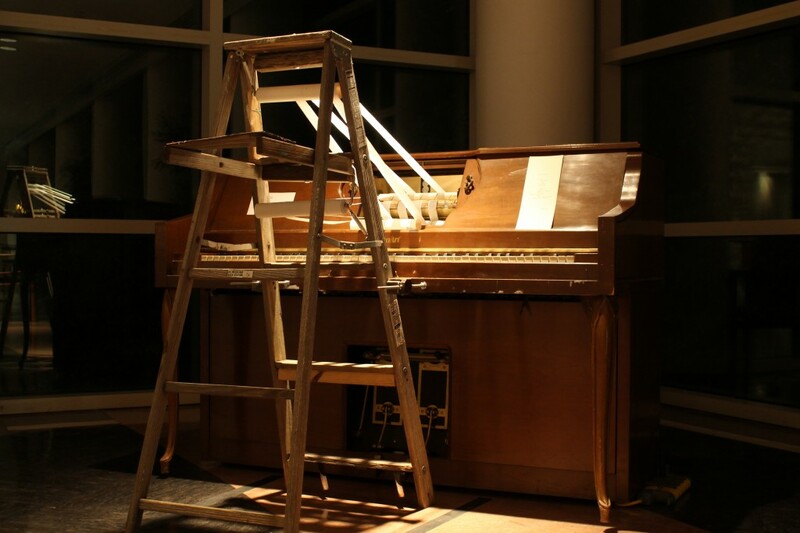 In this way, it combines several of Nancarrow’s and Cage’s major compositional interests—an aleatoric canon for prepared player piano.